Plenty of business owners and managers find a possible migration to the cloud to be quite daunting. IT support in Orange County will ameliorate your move to the cloud. Let the experts help with this project and you’ll obtain all the benefits from moving your business to a cloud-based platform. The cloud heightens efficiency, decreases IT costs, allows for growth, and improves flexibility. Consult with a IT support provider regarding a possible transition to the cloud and you’ll find that these professionals provide valuable insight. Pick their brains to determine what a transition to the cloud will require, if there are risks and whether it’s ideal for your business. Furthermore, your IT support partner will help you pinpoint the perfect time for the transition and personalize it for your unique business. If you don’t know much about the cloud, don’t feel ashamed. The cloud hasn’t been around for long. It’s fairly complex and requires a challenging transition period that everyday people won’t grasp right away. This is the type of complex project that needs a detailed explanation by the tech professionals. Speak with an IT support personnel, explore all your options and you won’t feel nearly as overwhelmed. You might find that a shift to the private or public cloud is best. Perhaps your IT support partner can educate you about the benefits of hybrid cloud services and you can make them an integral part of your business. Maybe your discussion with your IT support partner leads to the conclusion that your existing software setup is not compatible with cloud technology. Or, maybe it’s determined that a series of problems will arise if you don’t make the shift to the cloud. You’ll never know about these complications, benefits, and other nuances unless you speak with the cloud experts at IT support in Orange County. Your unique business has idiosyncratic functions, goals, and infrastructure. A shift to the cloud might make perfect sense for your company and backfire for a different company. Tap into the expertise of an IT support provider to figure out whether a transition to the cloud is in your best interest. These tech pros will explain options for a transition to the cloud in terms you can understand. Of critical importance is security for cloud networks. If you don’t have the budget to apply the proper security procedures, diving headfirst into a migration is not prudent. Or, maybe your company’s unique services won’t be significantly improved by a transition to the cloud. 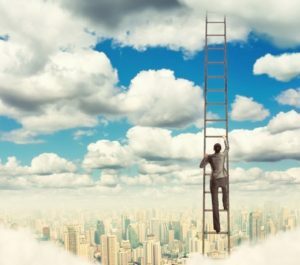 It’s also possible that the cloud won’t benefit your organization unless an IT support team personalizes the technology to suit the idiosyncrasies of your unique business. A transition to the cloud will prove quite frustrating if you attempt to do all the work on your own. Key in on what you do best while we handle the nuances of this challenging segue. At Intelecis, Inc., we can make your transition to the cloud as easy as ABC. We offer IT support in Orange County, among other things, and our team knows exactly how to facilitate such transition in a way that keeps your business operating smoothly and efficiently. Contact us today to learn more!